I'm currently using a dark red clay body and firing to cone 6 in an electric kiln. 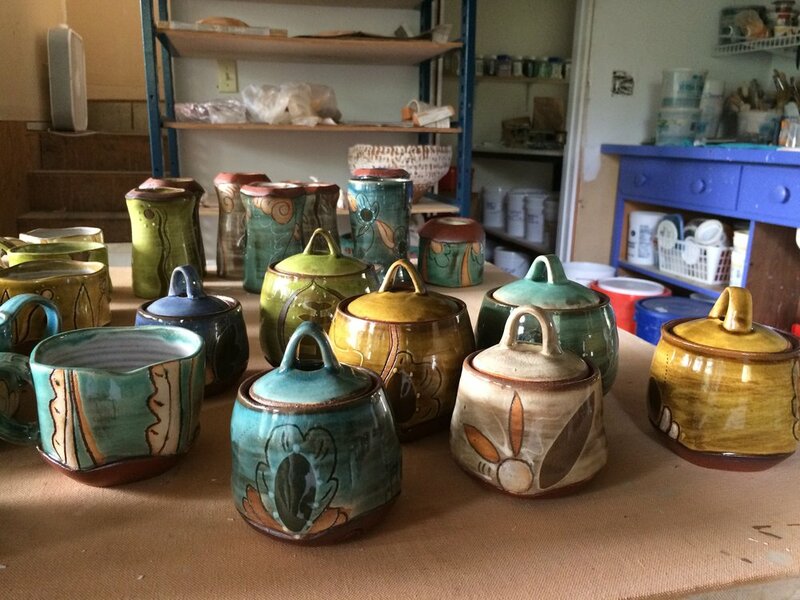 I use a dark clay to help create a sense of depth in the surfaces and glazes. I like the reference to common clay - not precious, just ordinary. When the clay has dried to leather hard, I cut out stencil shapes from newspaper and place them on the clay, using a wet sponge to stick them down. Then I brush on 2-3 coats of a thin white slip and remove the paper stencil. I let the white slip dry for 2-3 hours or more before I begin to draw into the clay. I use a calligraphy pen or a small ball stylus to draw through the white slip to reveal the dark clay beneath. 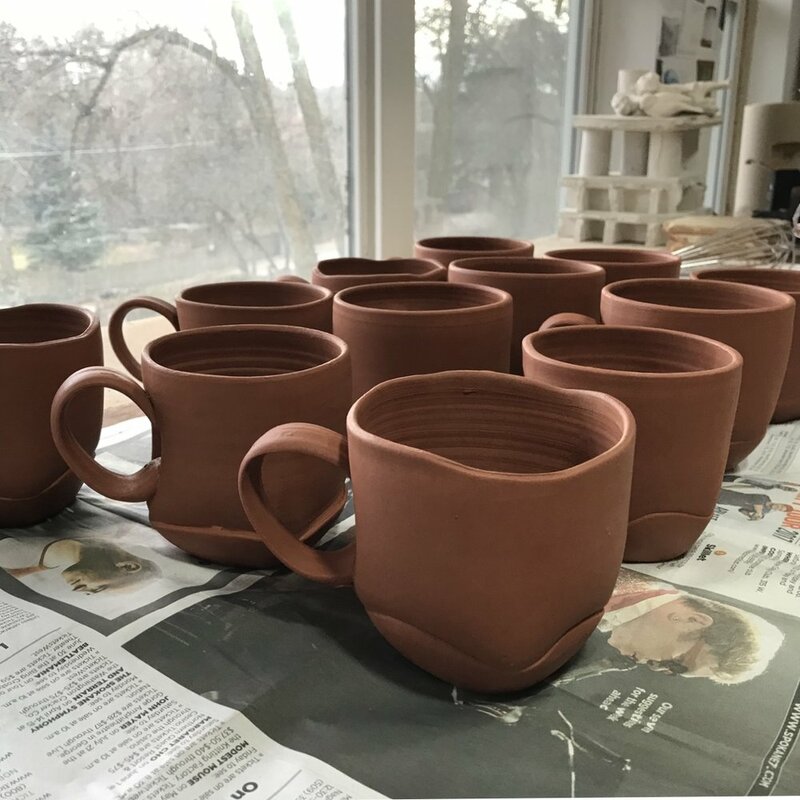 This is a technique called "sgraffito". 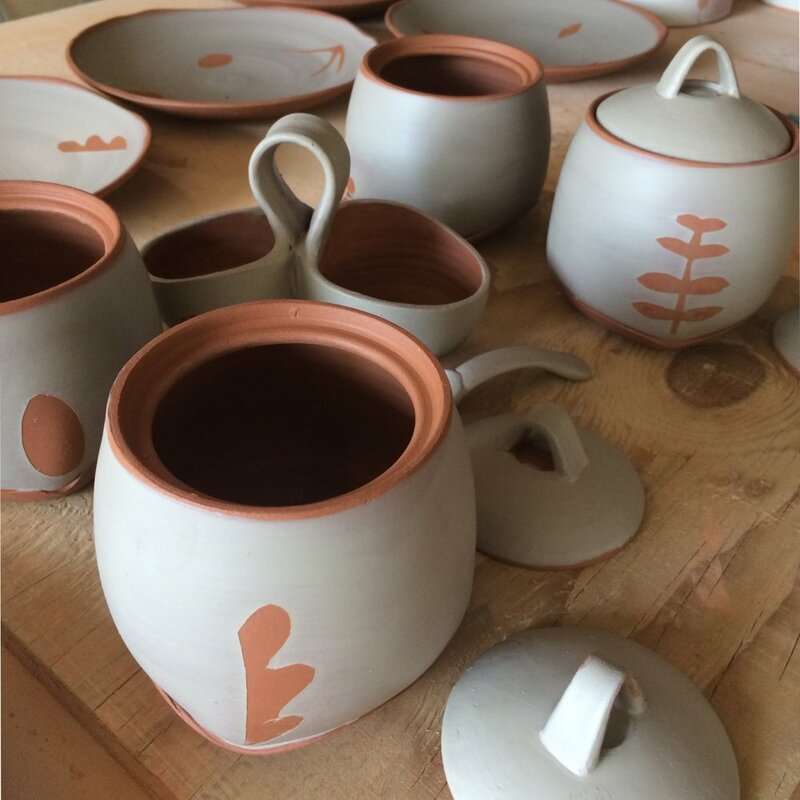 After the initial bisque firing, transparent glazes are applied that allow the line design to be visible. Liquid wax is used to block out certain areas of the design and create matt surface textures to contrast with the glossy surrounding glazed areas.